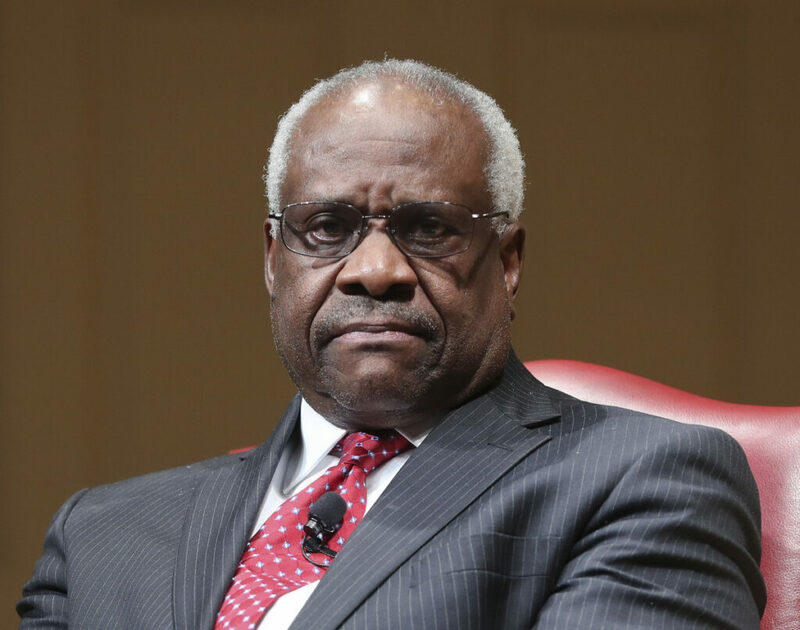 Justice Clarence Thomas, who almost never speaks in court, queries a lawyer on jury selection. WASHINGTON —The Supreme Court seemed likely Wednesday to rule for a black Mississippi death row inmate whose prosecutor has a history of improperly excluding African-American jurors. “The history of this case, prior to this trial, is very troubling,” said Justice Samuel Alito, who often sides with prosecutors in criminal cases. Three convictions were tossed out, including one when the prosecutor improperly excluded African-Americans from the jury. In the second trial, the judge chided Evans for striking a juror based on race. Two other trials ended when jurors couldn’t reach unanimous verdicts. “Can you say that you have confidence in how this all transpired in this case?” Justice Brett Kavanaugh asked Mississippi lawyer Jason Davis. The state’s lawyer said he could. Thomas is the only African-American on the court and last asked a question at arguments in 2016. But after his colleagues peppered lawyers with questions about striking African-Americans from the jury, Thomas asked if Flowers’ lawyer had similarly excused jurors and of what race. The Supreme Court’s decision in Batson v. Kentucky in 1986 set up a system by which trial judges could evaluate claims of discrimination and the race-neutral explanations by prosecutors. Prosecutors say Flowers was a disgruntled former employee who sought revenge against the store’s owner because she fired him and withheld most of his pay to cover the cost of merchandise he damaged. Nearly $300 was found missing after the killings. Defense lawyers, though, say witness statements and physical evidence against Flowers are too weak to convict him. A jailhouse informant who claimed Flowers had confessed to him recanted in recorded telephone conversations with American Public Media’s “In the Dark” podcast. A separate appeal is pending in state court questioning Flowers’ actual guilt, citing in part evidence that reporters for “In the Dark” detailed.